Have you been trying to command the powers of the sea, but to no avail? Perhaps you need to change your wardrobe before you take another attempt! 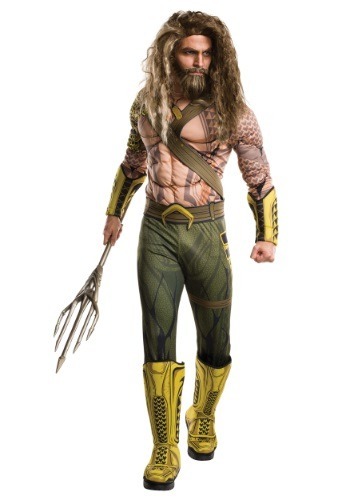 This Dawn of Justice Aquaman Costume gives you the look from the Zack Snyder movie, Batman v Superman, so you'll look like the aquatic hero from the movie. The outfit even has tattoos and Jason Momoa's rippling muscles built into it. The outfit gives you the complete look of the DC superhero, so you'll feel ready to command all the powers of the sea in no time! Of course, you'll need to have some Atlantean blood running through your veins if you want to actually harness the powers of the sea, but when you look this heroic, no one will really question your skills as a superhero. Perfect Disguise for the aqua man lover! Great costume, just very warm to wear all night.